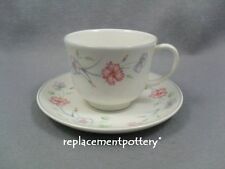 A Cup & Saucer in the lovely Hedge Rose series (also sold by Boots). Price is per single item. 8 Available. BOOTS CAMARGUE Pottery Cups&saucers X6 Vgc! 4 x TRIOS ~ BOOTS CAMARGUE. TEACUP, SAUCER AND SIDE PLATE. Set of Six. We know that you would rather receive your item in one piece than in several! Beautiful and durable crockery from Boots. A lovely pattern of wild hedge roses and blackberries on a cream background. The base is marked HEDGE ROSE MICROWAVE OVEN-PROOF DISHWASHER SAFE MADE IN KOREA. Imagination tea cup and saucer. Cup height 7.5 cms. Hanover Green tea cup and saucer. Price is per cup and saucer but I have several. Pottery Boots Orchard Cup & Saucer 14x9cm. Rest of World for £75. UK for £12. BULK ORDERS. Style :- “ Hedge Rose ”. Great Dinner Party Condition. With which to grace a. Manufacturer :- BOOTS. It will only have a few light scratches. Condition:- Excellent. Excluding handle. Doesn’t look used I’ve had it for many years and I never used this set.